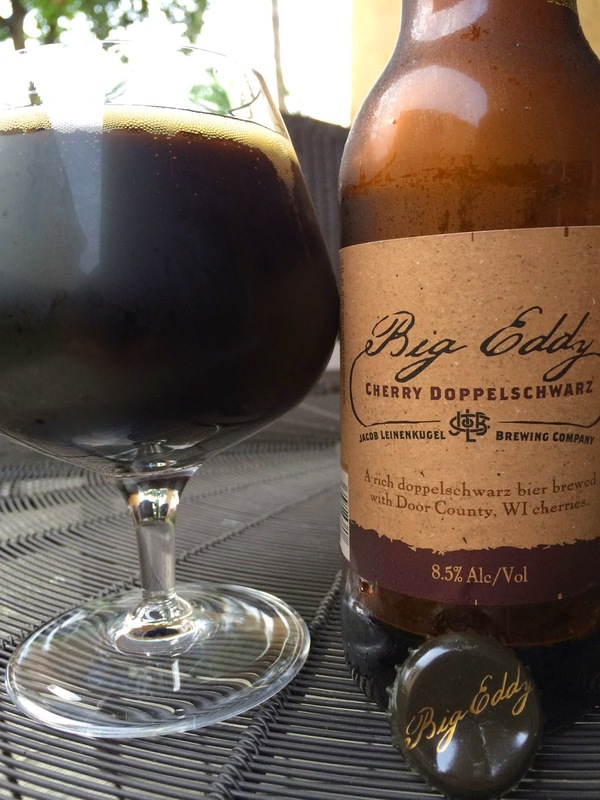 Though named a Doppelschwarz, Beer Advocate categorized it as a Doppelbock. Honestly I was just looking for a few sentences to set my expectations, so call it what you want. This beer was brewed with Door County, Wisconsin cherries. Oh, and the name comes from the fact that that brewery was founded on the Big Eddy Spring in Chippewa Falls, Wisconsin. 8.5% alcohol. Best by APR2015. Chocolate and sweet generic malty aroma with the faintest hint of cherries. Cherry flavors take a much bigger role--interesting, tart and they carry an alcoholic streak through a rich choco-caramel sweet base. The contrast between sweet malt and tart cherries was terrific and complex. The cherries linger with a slight cleansing tartness at the finish. I liked it. Have a few for New Years Eve tonight!